As a child growing up in central Virginia, I took many trips to Colonial Williamsburg, the living history museum showcasing life in the 1770s. Naturally, I was always most interested in Williamsburg’s four-legged residents. On one trip, I remember an interpreter setting up shop for talk on historical tack and harness with an understanding horse and a side saddle. She even let a few horse-crazy girls sit in the side saddle her horse was wearing. (This must have been in the days before liability waivers.) I remember being totally fascinated and wishing I could have the chance to take a side saddle for a real test ride someday. Some twenty years later in central Kentucky I was standing at a tack sale and overheard a rider discussing her upcoming plan to take her horse to a three-day event in a side saddle—my ears perked up. Samantha Peterson has been riding her Quarter Horse, Pixie, at the beginner novice level at unsanctioned events around the Lexington and Louisville circuits for several seasons and are preparing for their first sanctioned event later this year at the Kentucky Horse Park. As a low-level event rider myself, I had to find out more. I peppered Peterson with questions about what it’s like to trot in a side saddle (let alone jump in one), and Peterson graciously offered to let me test it. What do you do with a side saddle? She told me side saddle (“aside”) riders can do just about anything “astride” riders can do—jumping, dressage, reining, barrel racing, even cutting—chances are, someone somewhere has tried it. (For you barrel racers out there who may be raising an eyebrow, Peterson pointed out a side saddle rider has fewer opportunities to hit the barrel with her feet, since both are on one side of the horse.) She thinks the style has become slightly more popular with the advent of social media, where side saddle riders are reaching a broader audience than ever before. Personally, I suspect part of the draw is the visual shock factor. It has always looked to me as though side saddle riders are “floating” on the left side of the horse’s ribcage. To my eye, a side saddle rider doesn’t look old fashioned in her skirt, she looks like Super Woman, because I can’t figure out how she’s keeping up the balancing act. The side saddle also places the rider farther back on the horse, closer to the horse’s center of gravity than a conventional saddle. If you’re riding a horse with an impressive buck, that’s good news—between the pommels securing your leg and your point of balance, it’s quite difficult for a horse to throw a rider from a side saddle. This isn’t to say you just sit aside and look pretty. I was aching after my ride with Pixie, mostly because the saddle required me to use different muscles from the ones I had developed in my dressage saddle. Side saddle riders compensate for the absence of their right leg using a cane, but the left leg is still working—asking the horse to move forward or shift to the right. The cane is a rod, usually about a half-inch in diameter, that can be rested against the horse's side or flank in the same way the rider's calf or heel might be. It is not intended for use as a whip. To clarify my requests to Pixie, I had to stretch my ankle and calf up, down, and sideways much more than I would astride. Side saddle riders also rely more heavily than astride riders on their seat bones to ask the horse to quicken, so you’re using your lower back and abs differently, too. Because you’re placed farther back along the horse’s spine, you’ve got to open your hip angle and sit up more than you would in a conventional saddle. As Peterson told me: If you think you’re sitting up straight, you’re probably leaning forward, and if you feel like you’re leaning back, you’re probably in the right spot. What I found fascinating about this, especially when tolerant Pixie gave me a canter, was that when I hit the right point of balance in the saddle, I could tell immediately. Suddenly, the arrangement of my legs and hands made sense, just like they do when I adjust my center of gravity in a dressage, jumper, or Western saddle. And then, just like on conventional saddles, I’d bobble a little and have to work to find that sweet spot again. Part of the draw of the “sweet spot” is feeling the horse respond positively to your adjustment because you’ve made their job easier when you’ve reached it. I think that little communication exchange is what keeps many of us working to improve our riding throughout our lives. There is debate surrounding the sidesaddle revival; some riders see the side saddle less as a historical item and more a symbol of oppression and sexism. Although I find the historical element of the physical equipment interesting, I see it as an opportunity for learning rather than a social commentary. To me, different equine sports are like different dialects of the same basic language—we’re trying to ask for some of the same basic sets of movements: stop, go, left, right, stretch, collect. 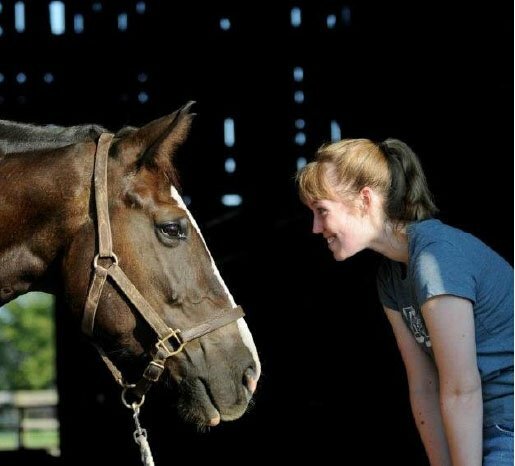 When I try out a new style of riding, I find it makes me more aware of my horse’s thought process, her intelligence, and her communications back to me, while I try to figure out how to express what it is I’m asking. 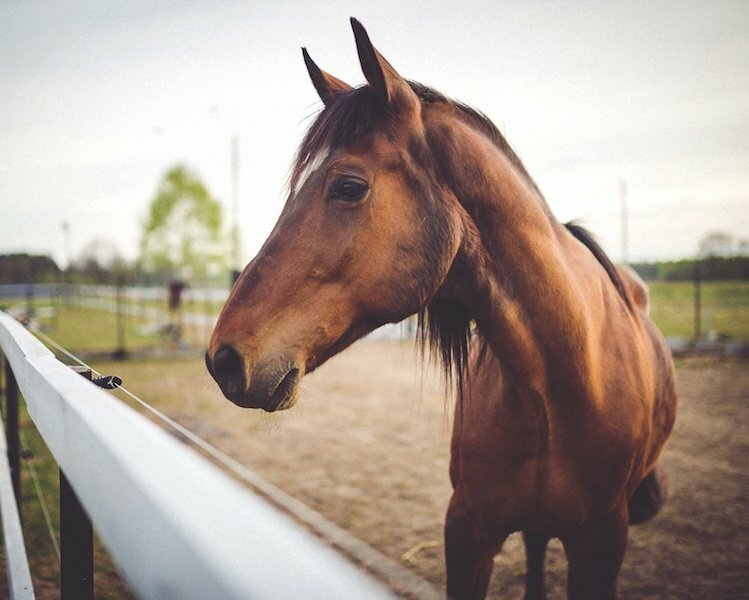 A new dialect forces you to be a better listener, and I believe your horse can benefit greatly from that.